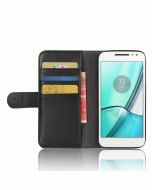 The MOTO C PLUS Wallet Flip Cover, was developed with the user's lifestyle in mind. 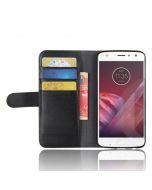 This case was designed to protect and enhance the MOTO C PLUS smartphone, combines protection with style and convenience. Accented with a high quality lambskin leather and detailed stitching, this case provides as much style as it does function. Need to travel light? No problem! 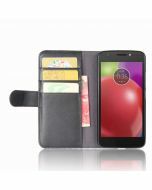 This ultra slim flip cover features a card pocket for carrying a credit card, debit card, driver's license, etc. 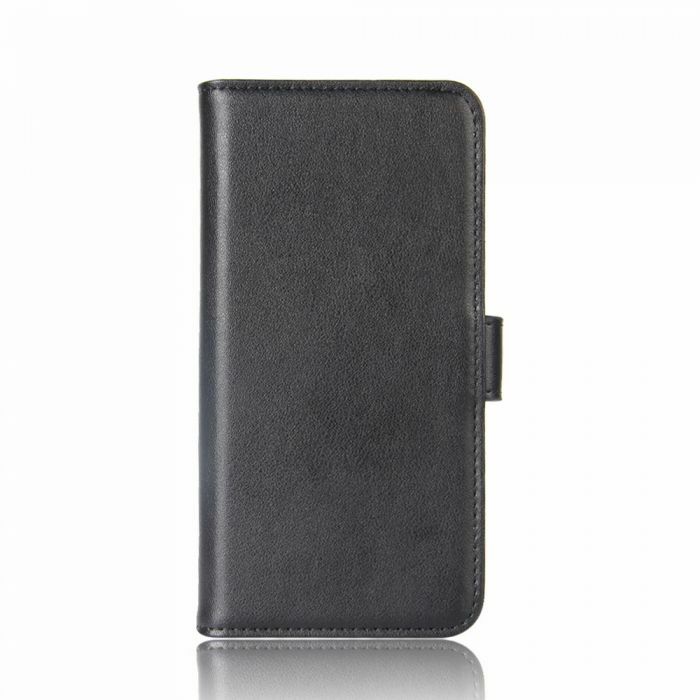 ?No more phone shelf or holder needed, release your hand with this case while watching movie on your smartphone. 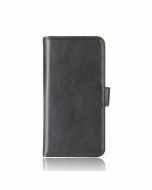 Precise hole ensure sound transmission while the flip cover closed. 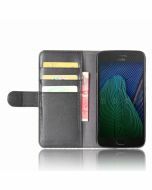 The Flip Wallet Cover provides exceptional protection for the smartphone's screen when not in use and is easily flipped open for full access to the screen when needed. 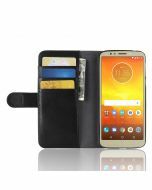 In addition, The MOTO C PLUS Wallet Flip Cover will never open in accident with the?high quality magnetic snap. 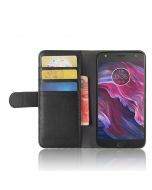 With strong plate material, the MOTO C PLUS Wallet Flip Cover will keep your phone steady and keep its shape stable, High Quality Leather offer a soft and comfortable feel. 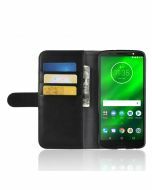 Additionally, these cases have been specifically designed for the MOTO C PLUS smartphone. 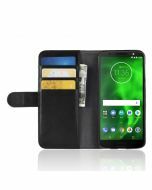 Installing a MOTO C PLUS phone case is simple and only takes a few seconds.